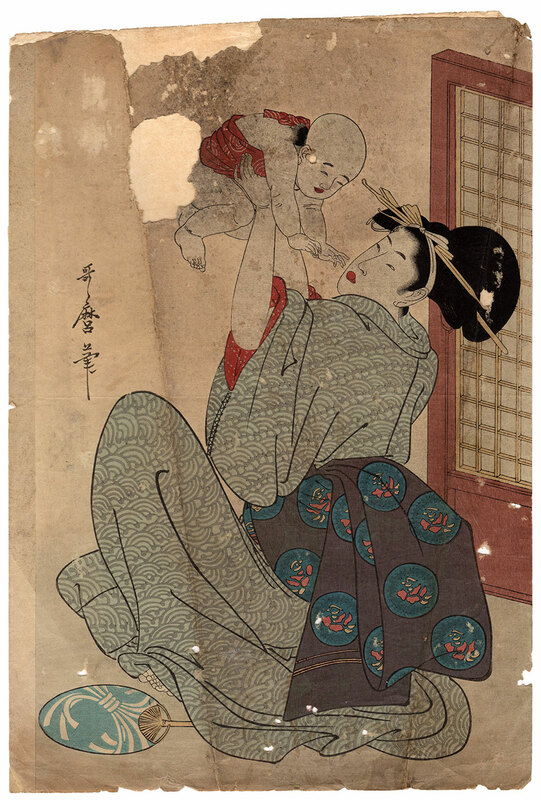 Large vertical format polychrome woodblock print, reproduction dating back to the 1920s of a work created around 1803 by the famous artist Kitagawa Utamaro (喜多川歌麿) and entitled "Mom and baby: up and up" (母と子たかいたかい). 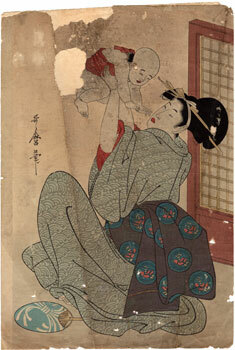 Utamaro depicts in this print a mother who plays with her child. 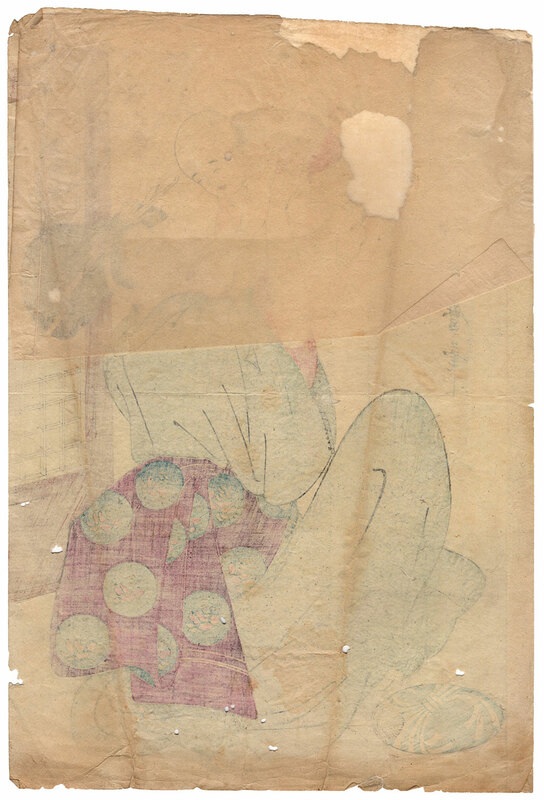 The young woman tenderly lifts her baby, who instead tries to reach with his little hands the small fruit that the mother has between her lips. Very clever, and not casual, the use of red to underline the intimate bond between the two protagonists of the scene. 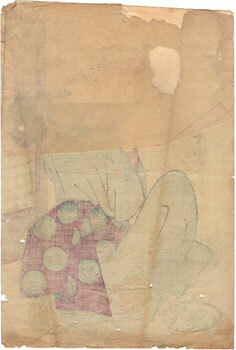 The work on Japanese washi paper (和紙) shows very evident signs of the time.